View the photographic work of Jon C. Haverstick and one prevailing theme overrides—humanity. With his camera, Haverstick strives to communicate as much as possible about his photo subjects. 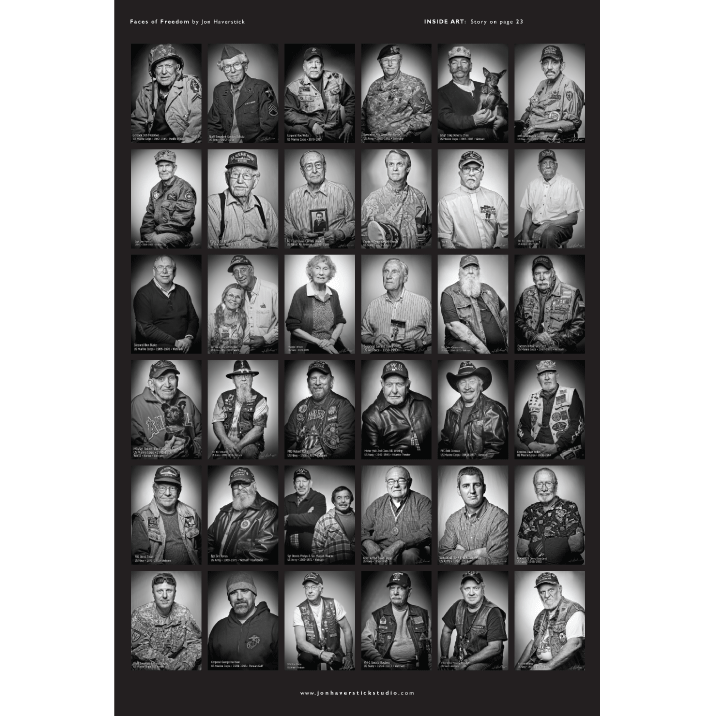 It is this desire to open a window to the soul of those he photographs and his respect for the U.S. Armed Forces that led the photographer to undertake his “Faces of Freedom” project pictured in this issue. Consisting of portraits of veterans, the project that he started in August 2011 has about 50 photos and counting of men and women who have served the country in various wars, such as Vietnam and World War II. “Many veterans don’t have good portraits of themselves that depict their service to the country,” says Haverstick, who gives participants complimentary portraits. “This project provides a way to honor veterans and serves as a reminder of those who have given up so much so that we have what we do.” Haverstick has several relatives who have served, including his father, father-in-law, nephew and son, who is currently in the Army. Haverstick attributes his sensitivity to people and affinity for capturing them on camera to growing up in the 1970s with a disabled foster sister and being surrounded by a family involved in community service and healthcare. 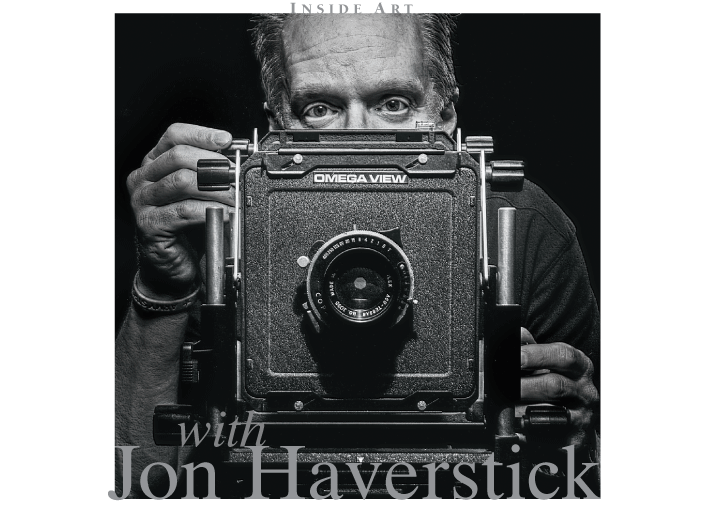 Haverstick himself spent more than 20 years in the medical field as a genetic counselor and in healthcare education prior to opening his photography company in 2011. Photography student Heather Rollins considers Haverstick her mentor and comments on his ability to put photographic subjects at ease and share their personalities through their portraits. Though he didn’t open his photography business until later in life, Haverstick was drawn to the art form from a young age. During high school, he shot photos for his school newspaper and yearbook and worked as a second shooter for a wedding photographer. At the time, he bought his first professional camera, a Nikon F2AS Photomic, which he used until he went digital in 2005. As an adult, he took many photos of family and friends and began teaching photography classes in 1999 at schools such as Santiago Canyon College, where he still teaches. A desire to become a better photographer inspired Haverstick to leave his healthcare job nearly three years ago and open his photography business. With encouragement from his wife, Chiaki, and children, Cat and Conner, Haverstick quickly became successful. He does a wide variety of photographic jobs, including weddings, senior portraits, commercial and corporate work and fine art photography. With all of his work, Haverstick makes sure to interject the human element. To view the Faces of Freedom project, go to http://jonhaverstickstudio.com/faces-of-freedom-project/nggallery/page/1/.